This book is the definitive work by W. Edwards Deming–often regarded as the "American Prophet of Quality" and the "Father of the Third Wave of the Industrial Revolution." In this book he explains, with numerous examples, his view of how American management has functioned in the past and what changes must be made in order to ensure success in the future. 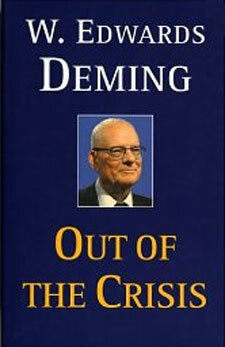 Deming shows managers of every level how they can improve quality and productivity, thereby regaining world-class competitive position through the use of his well-known "14 Points for Management." Your books on SPC and Quality are fantastic. They are concise and to the point.